Hotel Accommodations: Renaissance Asheville is currently full. Suggested Alternate Hotel: Four Seasons Hotel — NCSBA does not have a room block at this hotel. Designed for board members, board attorneys, and school administrators alike, the conference will cover an array of timely legal topics. Join us for discussions on teacher contracts, Title IX and athletic programs, school board prayer, and more. 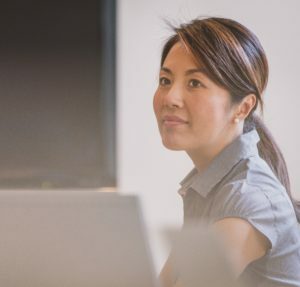 The conference will be held at the Renaissance Asheville Hotel, nestled in the heart of the Blue Ridge Mountains and the city’s vibrant downtown scene. It is important to note the conference will begin at 12 p.m. on Wednesday, Oct. 11. This gives attendees the opportunity to drive in that morning rather than stay an extra night. Conference activities will begin on Thursday and Friday at 8 a.m. If you have questions, please contact Cynthia Moore at cmoore@ncsba.org or 919-747-6696. Whether you’re a board member, school administrator, or board attorney, this conference has been designed with you in mind. Individuals attending the full conference will receive 10.5 hours of continuing education training or CLE credit, as applicable. 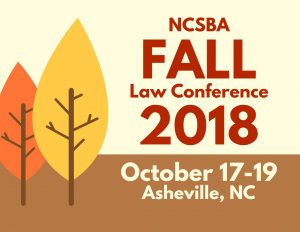 The 2018 NCSBA Fall Law Conference will be held on Oct. 17-19, 2018 in Asheville. All conference activities will be held at the Renaissance Asheville Hotel, nestled in the heart of the Blue Ridge Mountains and the city’s vibrant downtown scene. 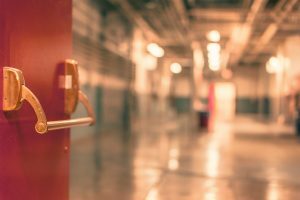 Designed for board members, board attorneys, and school administrators alike, this year’s conference will include a variety of timely legal topics with a focus on school safety issues. Click here to take a look at our agenda. On Wednesday, October 17, registration will open at noon and the conference program will run from 1:00 to 5:30 p.m. Conference activities on Thursday and Friday will begin with a continental breakfast at 7:30 a.m. with legal presentations beginning at 8:00 a.m. and ending at 12:30 p.m. each day. Due to the high demand for sleeping accommodations, the Renaissance Hotel room reservation process will be initiated using NCSBA’s online conference registration form. The only way to secure a hotel room at the Renaissance at the NCSBA Fall Law Conference rate is to register for the room at the same time that you register to attend the conference on the NCSBA webpage. Click the green registration button above. Select an attendee and indicate the registration preference. Indicate if the attendee has special requests—i.e. handicap room, lower level, etc. Provide the name of the contact person for confirmation of the hotel reservation. (In most cases this will be the board assistant.) The contact person should receive a communication from the Renaissance within 7 days from the time the online registration form is submitted. At that time, the Renaissance staff person will need appropriate credit card information to secure the reservation and provide the contact person with a confirmation number. NCSBA has a limited number of rooms at the Renaissance at the conference rate. The room block fills up quickly. It is best to make your hotel reservation request at the same time that you register an attendee for the conference. 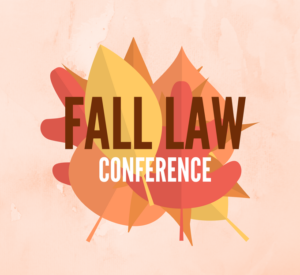 We have implemented this new process to make sure the conference rate hotel rooms are available to registered participants of the Fall Law Conference. If you have any questions about registration, please contact Debbie Shinbara at dshinbara@ncsba.org or at (919) 747-6698. Are you a board member looking to learn or brush up on school law? We’ve got the perfect opportunity for you! Join us for Core Training (formerly School Board 101) Sunday, November 11, at the Sheraton Greensboro. This pre-conference event is part of the 2018 NCSBA Annual Conference and will cover ethics, open meetings law, and parliamentary procedure. Note: Participants must register for Core Training separately from the NCSBA Annual Conference. Core Training is open to all new and veteran board members who want to strengthen their governance skills and solidify their boardsmanship foundation. This is also the next opportunity to fulfill your required ethics training. Registration starts at 12:30 p.m., and the event will be from 1 to 5 p.m. Don’t miss it! For topics, please see our agenda below. This webinar will include discussion of the federal and state laws that local school boards should consider when developing board policies related to: (1) allowing visitors access to students and school buildings during the school day, (2) circumstances when school officials are permitted to ban individuals from school grounds and activities, and (3) school facility rental. Interested in learning about school employment law? 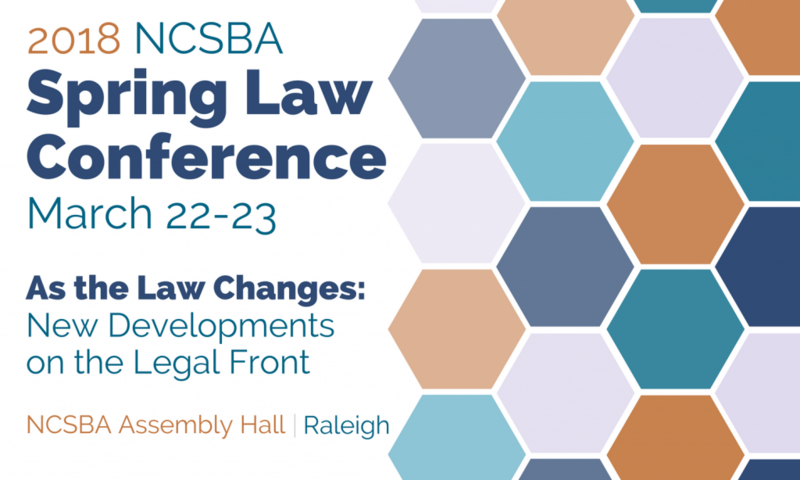 The 2019 NCSBA Spring Law Conference will be held March 7 and 8 at the NCSBA office in Raleigh and will focus exclusively on employment law issues. Take a look at our draft agenda. 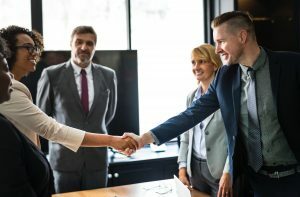 The conference is designed for both school board members and school administrators involved in human resources at the local level. It will provide 10 hours of continuing education credit for board members and administrators and 10 hours of CLE credit for attorneys. In this two-hour webinar, we will discuss the ethical standards established by state law for school board members. The webinar will also include a discussion of state and federal laws related to conflicts of interest pertaining to making and administering contracts and possible legal consequences when these laws are violated. Finally, this webinar will review other well-established legal duties and responsibilities of school board members. 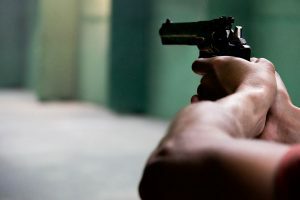 This webinar will present an overview of the federal and state laws regulating guns in schools and on school property, including the Gun-Free School Zones Act, the Gun-Free Schools Act, and applicable North Carolina criminal law and its limited exceptions. 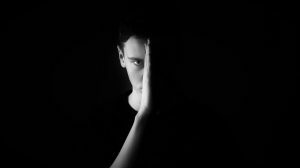 This webinar will also discuss the student disciplinary consequences mandated under federal and state law for violations, as well as the corresponding reporting requirements for these offences.